We provide eye care services in Tomball. Our experienced optometrists offer a complete eye care solution for the residents of Tomball. Our eye care services are a unique one venue solution where you can take care of your eyes for any problem you might have. If you need a new prescription for your eyeglasses or contacts or if you need our contact lens service we are here for you. In addition, our services include a wide variety of eye exams which can help detect any ocular disease and provide you with the right treatment. If you are experiencing vision problems caused by diabetes we can help you out. We have gathered a varied list of our Tomball eye care services. Please feel free to read more about each service and see all of what we can do for you. TSO Tomball eye doctors treat children of all ages in Tomball, TX. Custom kid friendly eye exams, myopia control, & stylish kids frames. TSO Tomball's specialized diabetic eye exam detects any diabetes related vision problems minimizing risks to your vision. Schedule today in nearby Tomball. 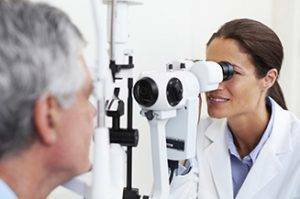 TSO Tomball optometrists treat eye emergencies in nearby Tomball, TX. Please walk in with red eyes, pink eye, or scratched & swollen eyes for immediate attention.